Update your nightwear with this funky embossed robe. 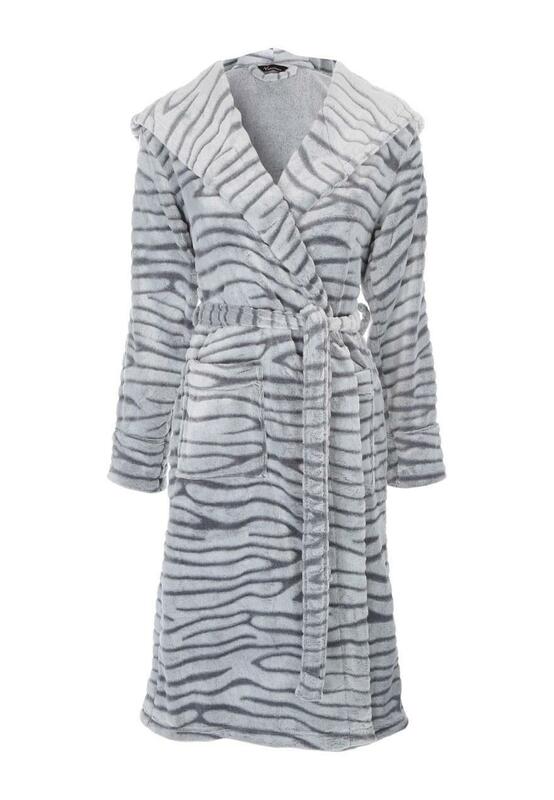 A super soft dressing gown is a must have for a cosy night in, wear with your favourite pjs and fluffy slippers. Featuring a soft shawl neckline, long length and a self tie belt to the middle.